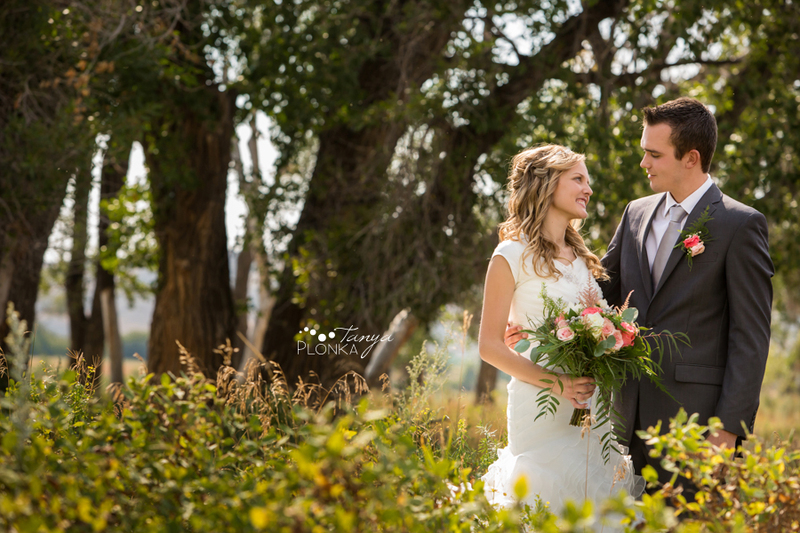 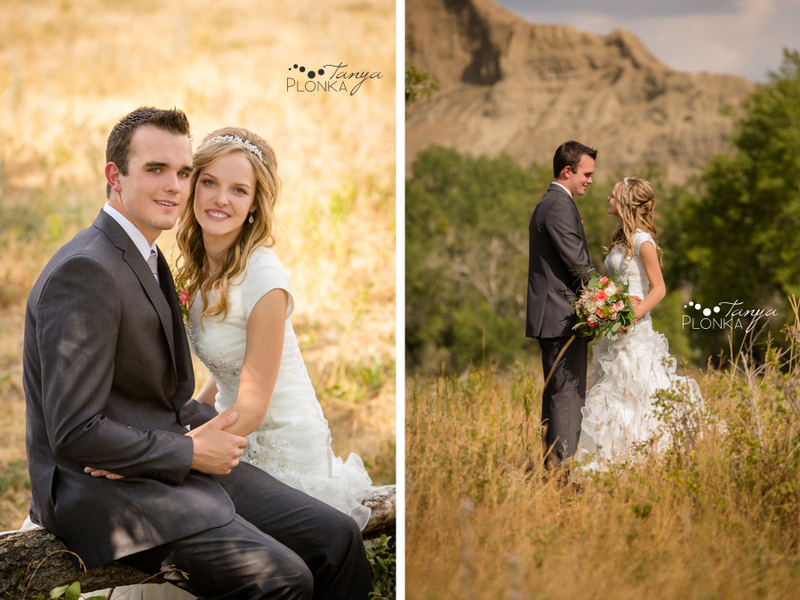 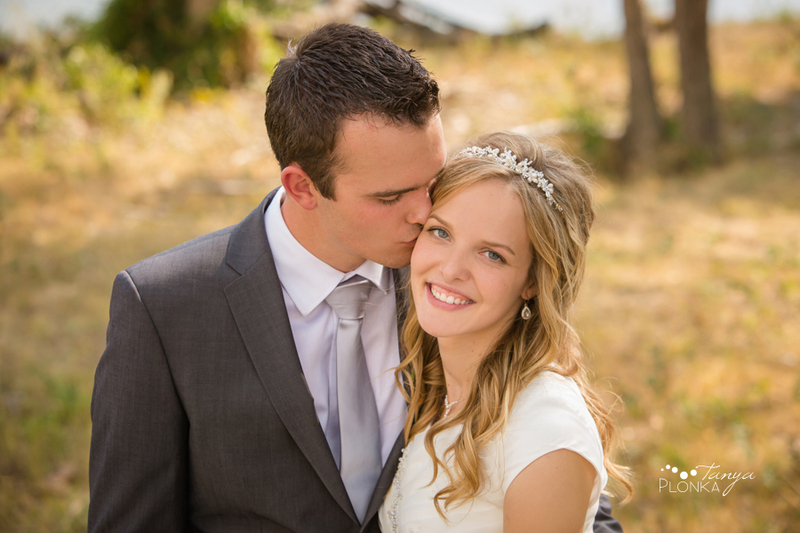 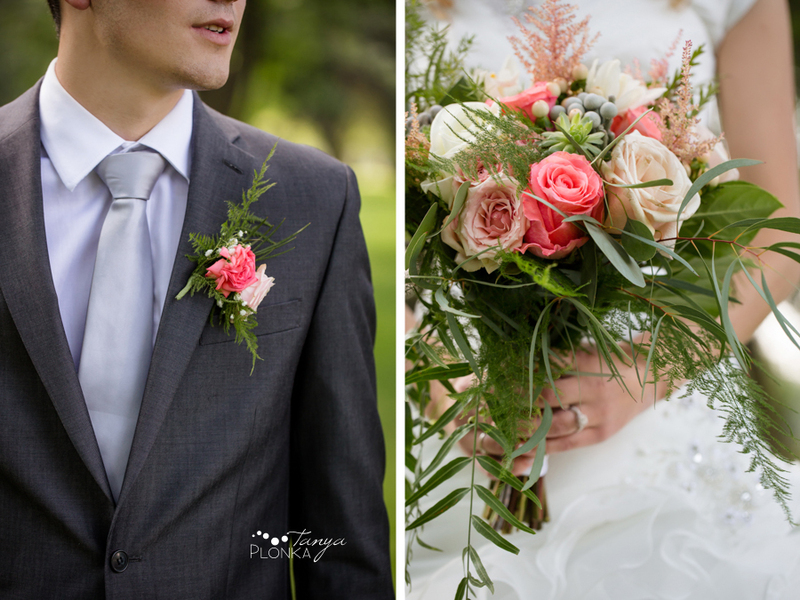 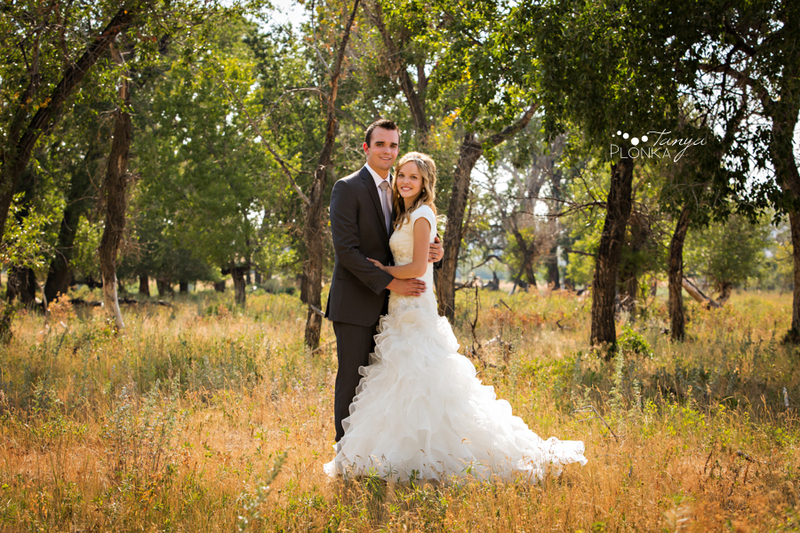 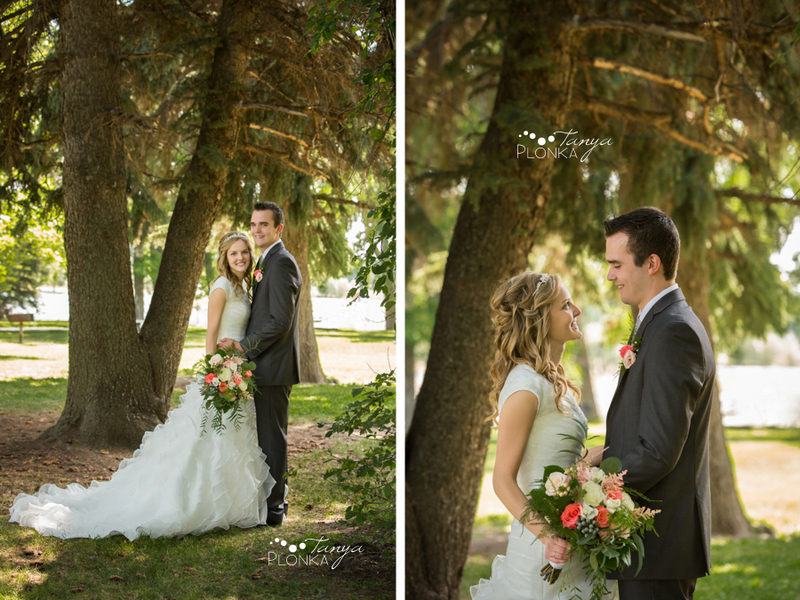 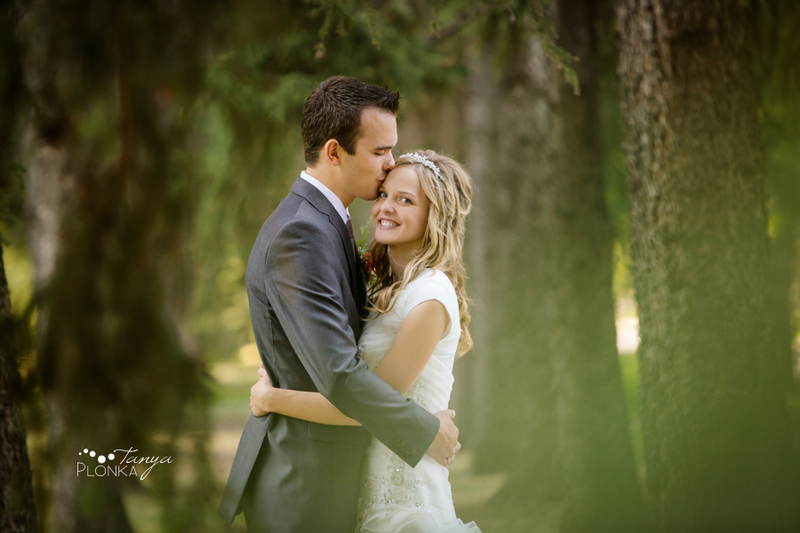 Koralee and Colin looked gorgeous for their summer wedding! 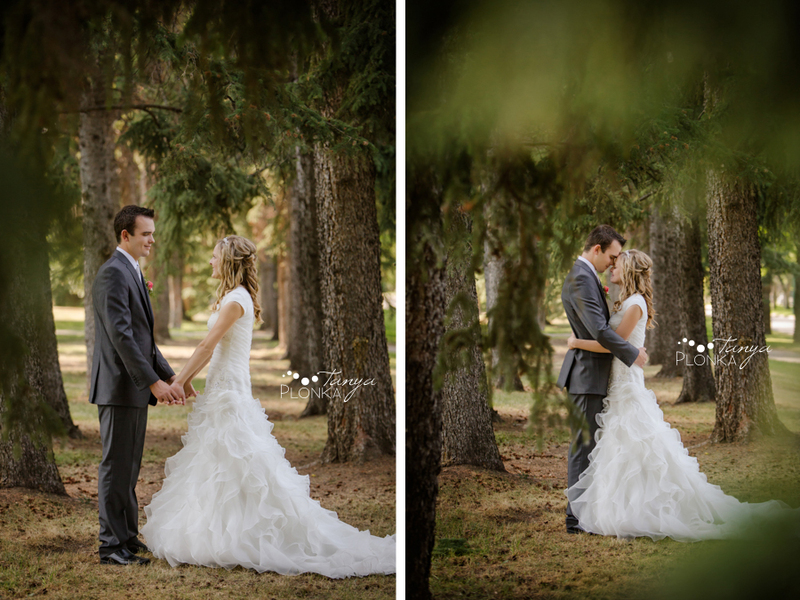 We met up with them and their family at Henderson Lake, just after their ceremony and lunch, and were greeted with a beautiful sunny day. 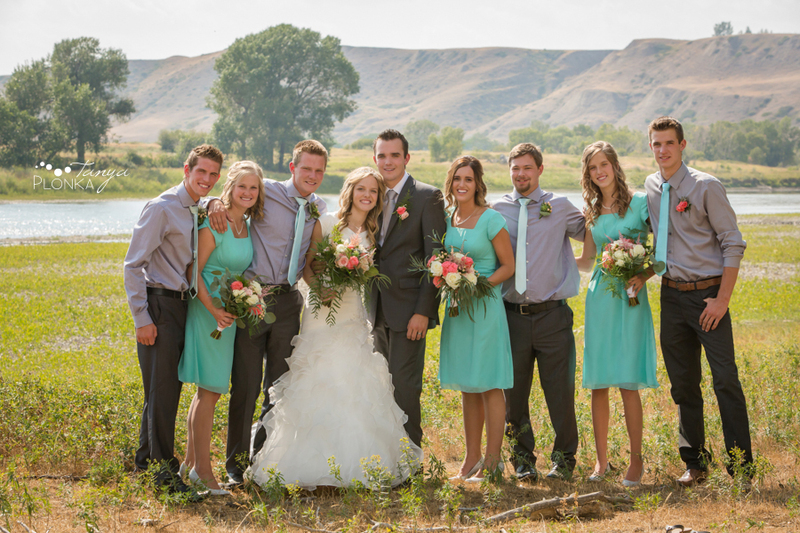 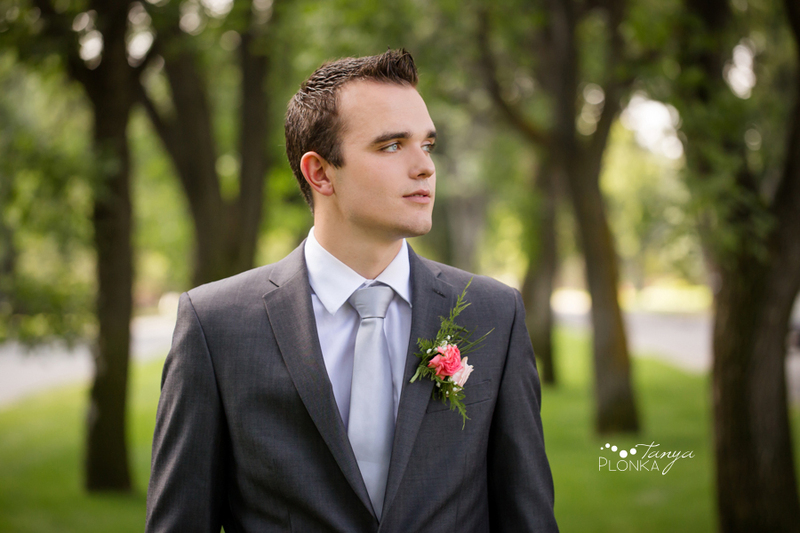 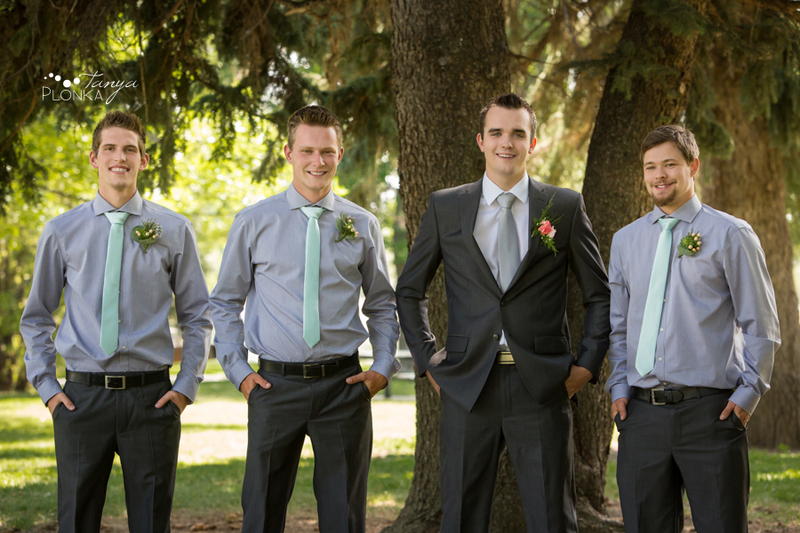 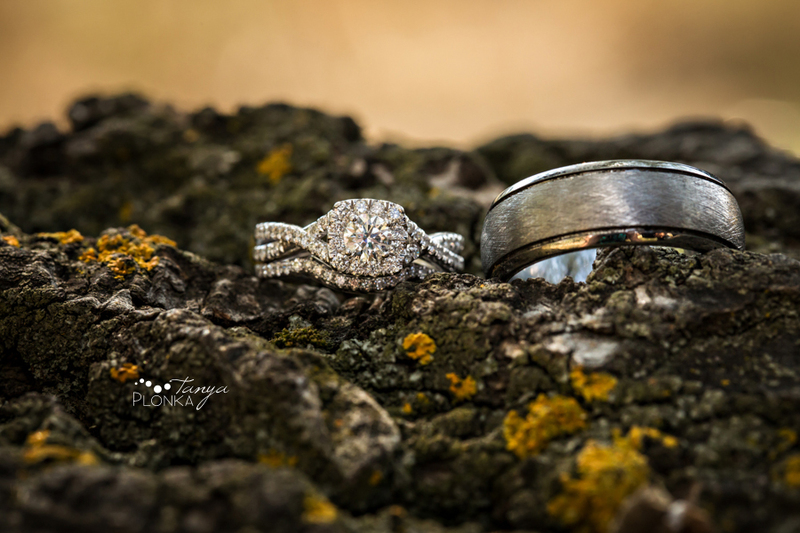 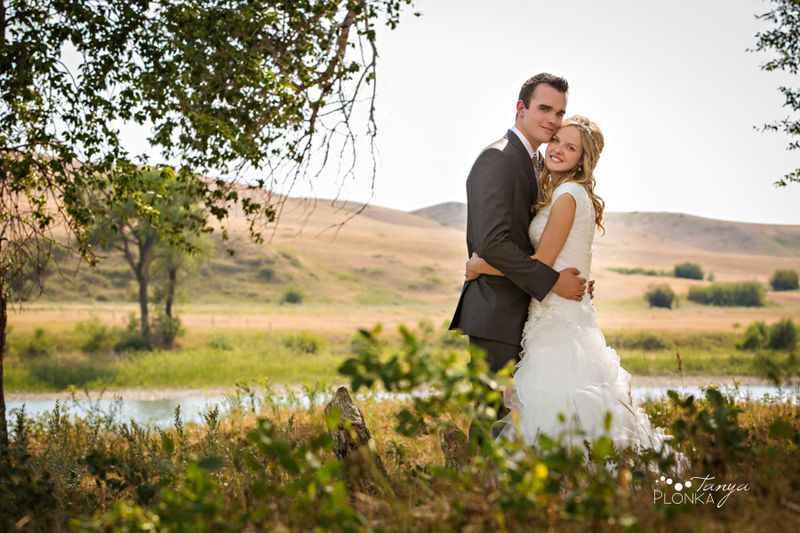 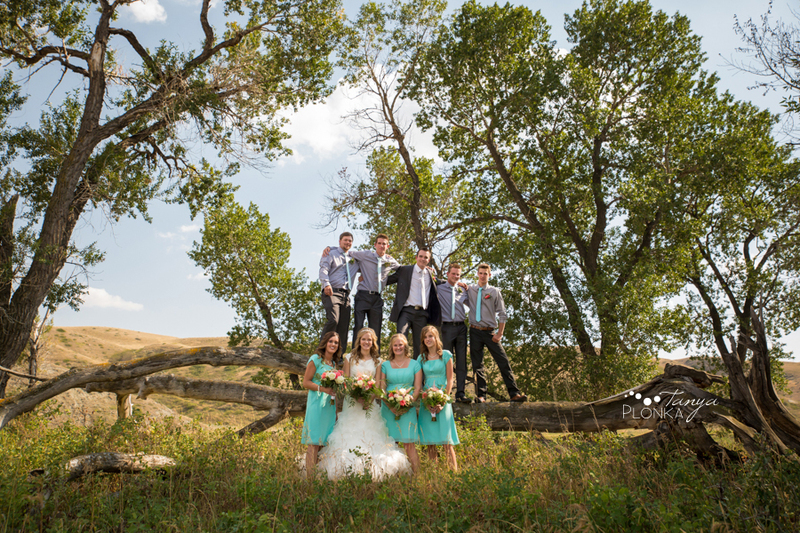 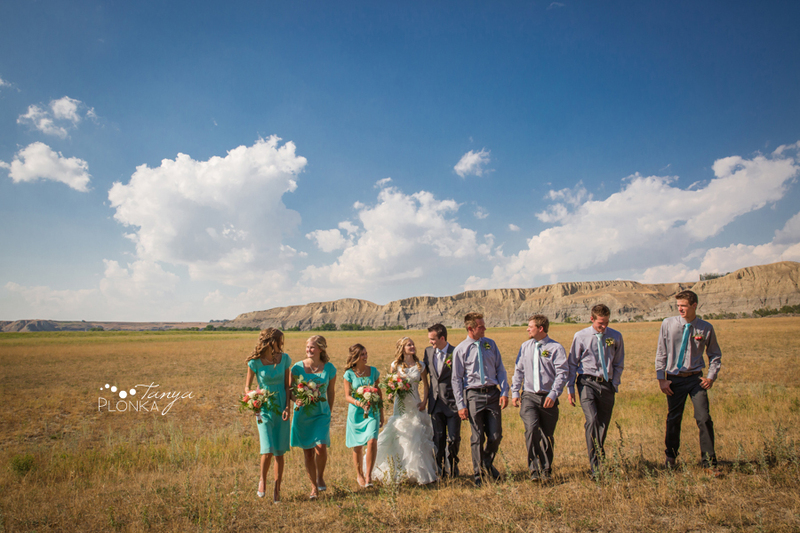 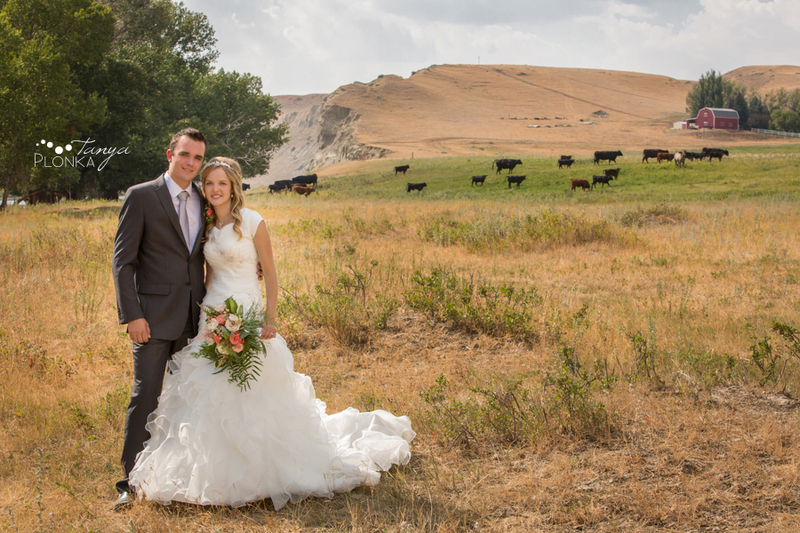 The highlight of their day were their Diamond City cattle ranch wedding photos, kindly coordinated by one of the groomsmen and his connections. 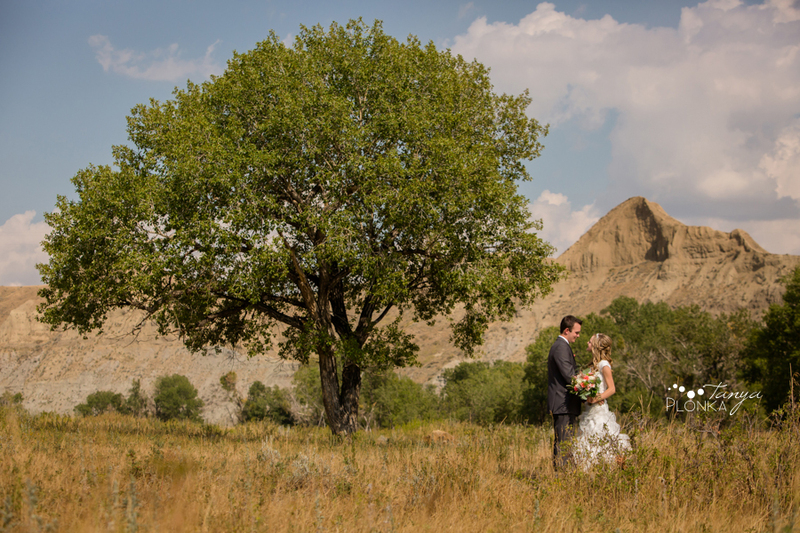 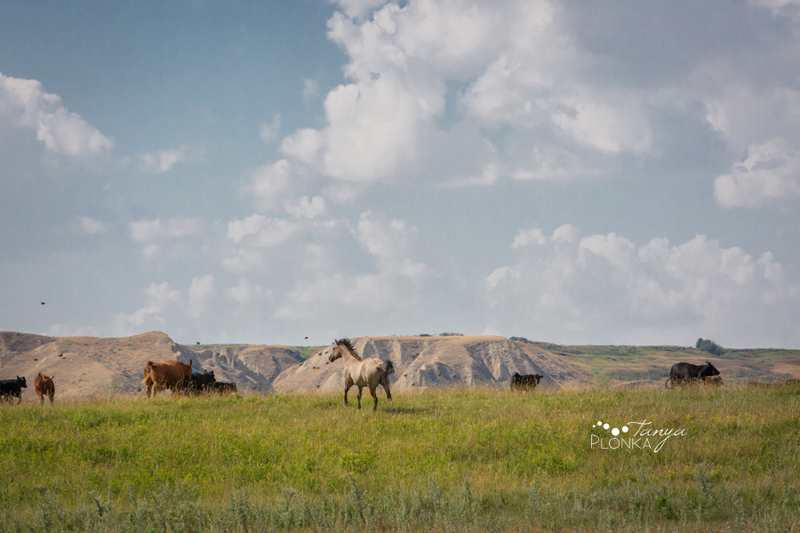 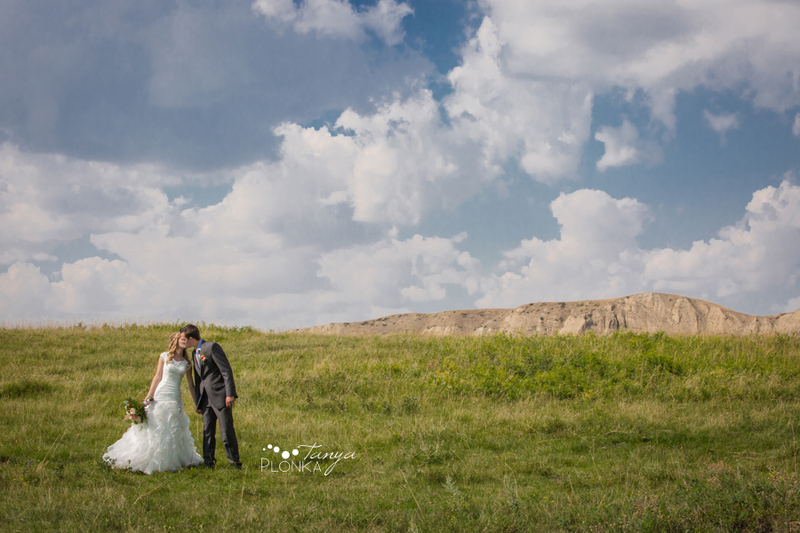 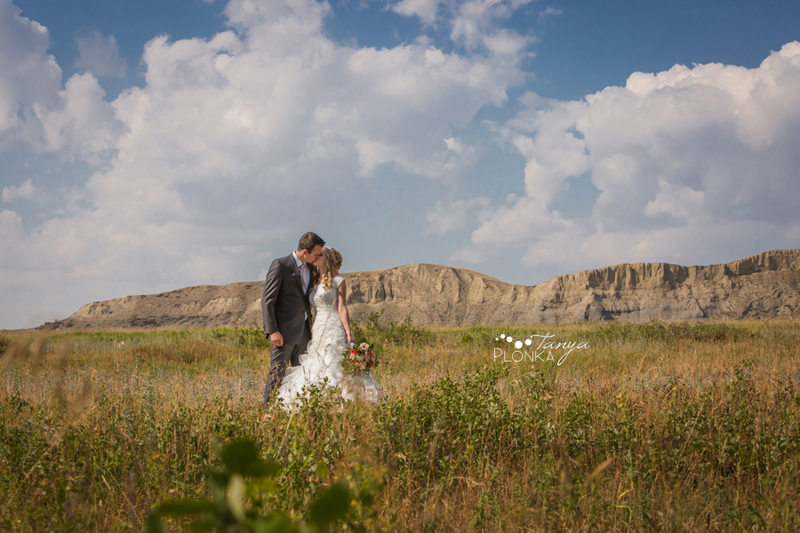 The location had everything Koralee was looking for: sprawling fields, groves of trees, coulee cliffs, and some local residents (of the cow variety plus one protective horse) to add some character to the background. 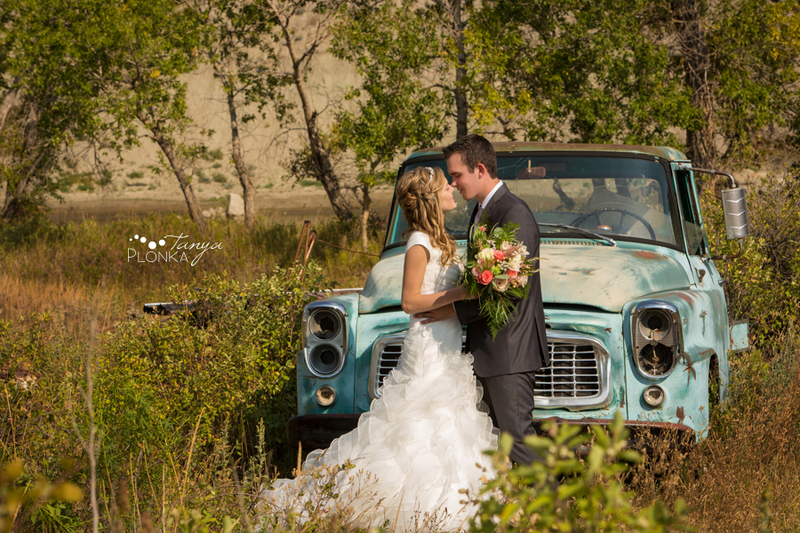 We went off-roading with their driver from California Dream Limo to get there and had so many great spots to work with! 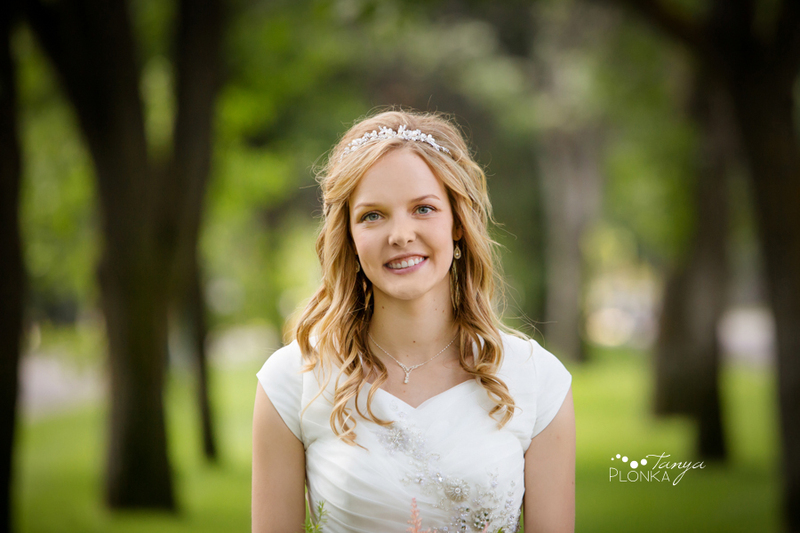 Salon Tonique did an amazing job with Koralee’s hair. 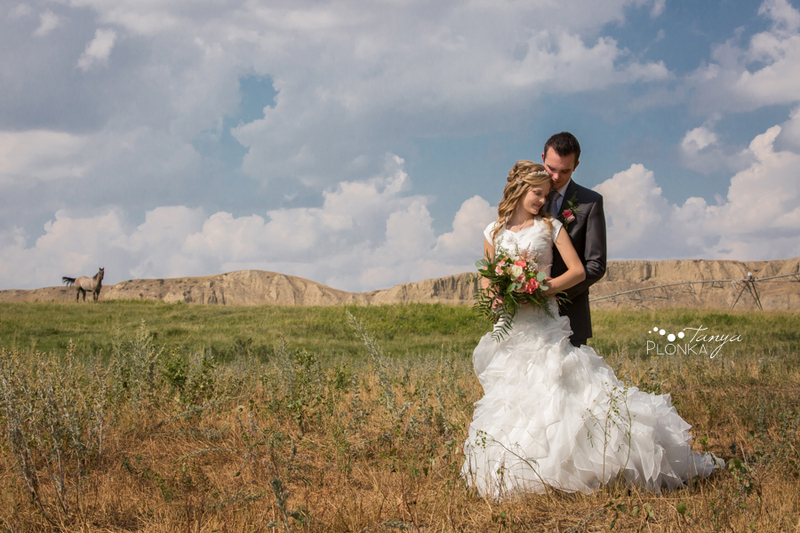 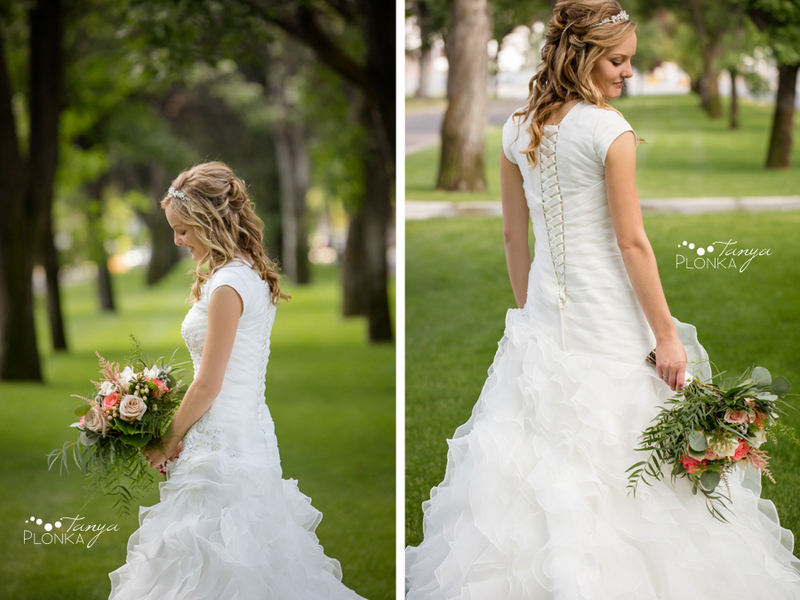 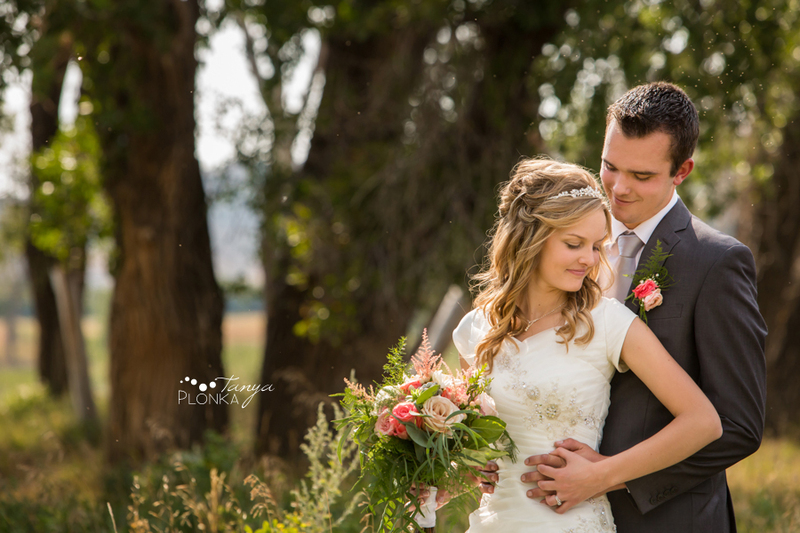 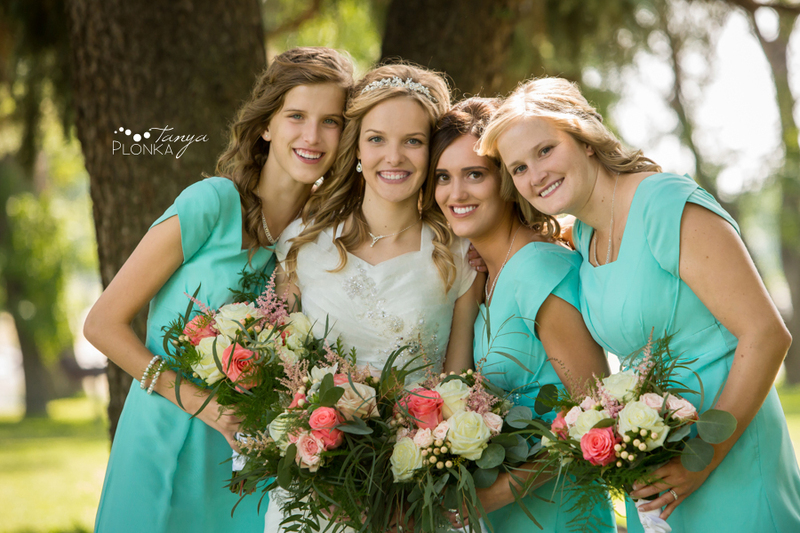 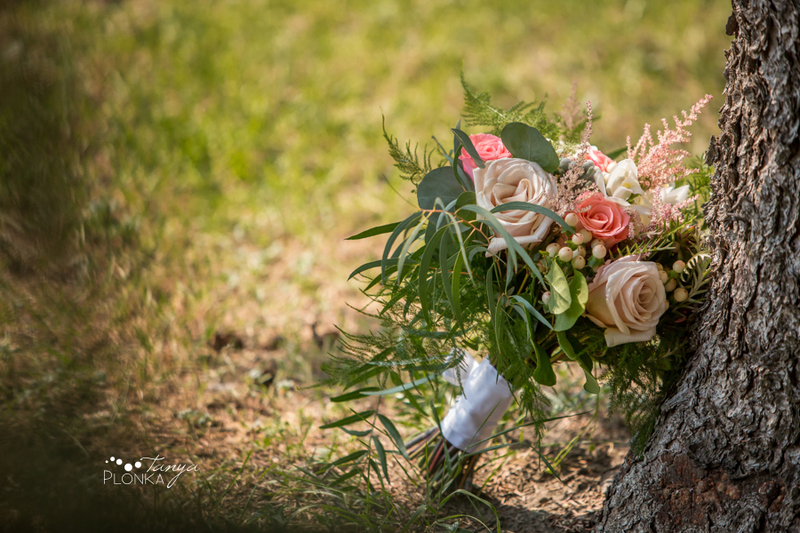 Koralee’s bouquet was created by Flare N Flowers in Picture Butte.